Beaches and resorts that face some of the most breathtaking landscape on the planet – that is Punta Cana to the average tourist. With the Caribbean Sea and the Atlantic Ocean spreading out before them, Punta Cana has been one of the biggest tourist spots, in the Dominican Republic, since the 1970s. An hour from the nearest city, Punta Cana is all about taking time off and going down to the beach for a relaxing day without any worries. 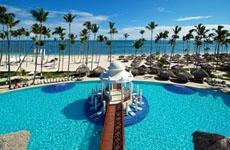 In Punta Cana, there is plenty of R&R for those who are looking. 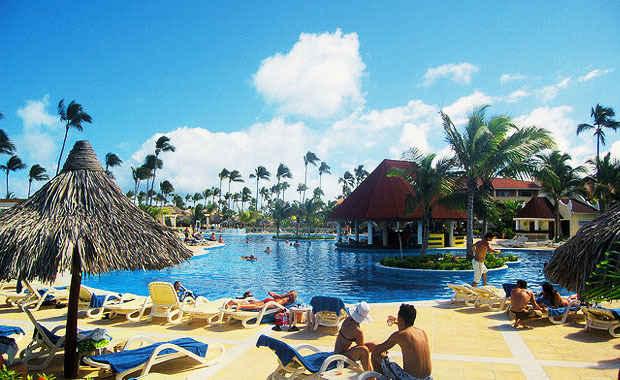 With over 50 resorts all over this simple beach town, Punta Cana is all about having a good time. A massive Spanish influence has merged with the local Dominican culture to produce some extremely exotic combinations of food, music and entertainment. The waters, around Punta Cana, are naturally designed for a relaxing swim. The waters are shallow, with few waves while a cool breeze keeps blowing along the 100 kilometer coastline at all times. There is plenty of marine pools, which have formed in the area, that are ideal for people of all ages. The main town-ship, i.e. 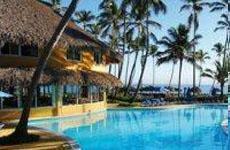 the houses and buildings, start from the Bavaro district towards the eastern part of Punta Cana! There are fast-food stores, malls, some fine dining restaurants, banks, places of worship and much more, once the town starts. The airport is one of the busiest in the Caribbean, but that is more for the connecting flights that take off, rather than the people coming into Punta Cana. That said, with 12-professionally designed golf courses as well as some incredible water sports, like snorkelling and scuba diving, Punta Cana is one of the busiest tourist destinations in the area. All year ‘round, Punta Cana is extremely pleasant for tourists, with enough Sun to give a lovely tan but not enough to burn a hole through skin. Average temperatures are around 300C throughout the year while the lows come down to about 210C. There is little variation through the day while the flat landscape ensures that rain is rare. Besides May and October, the rest of the year is relatively dry, guaranteeing a nice dose of Sun for tourists. 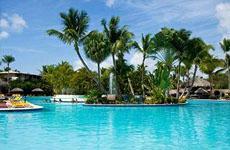 The Paradisus Palma Real Resort is a few minutes from Bavaro Beach, one of the biggest hotspots in all of Punta Cana. There are plenty of water sports in the area, ensuring that guests have a wonderful time out there. The main shopping and dining district of Punta Cana is also a few minutes from the Paradisus Palma Real Resort, opening up the best of both worlds. There are a number of suites with different themes, at the Paradisus Palma Real Resort, although all of them come with world-class amenities. There are many restaurants in the resort while the gardens are known for their nightly-entertainment programmes. The resort has its own casino and golf course, making it the ideal location for all kinds of people. 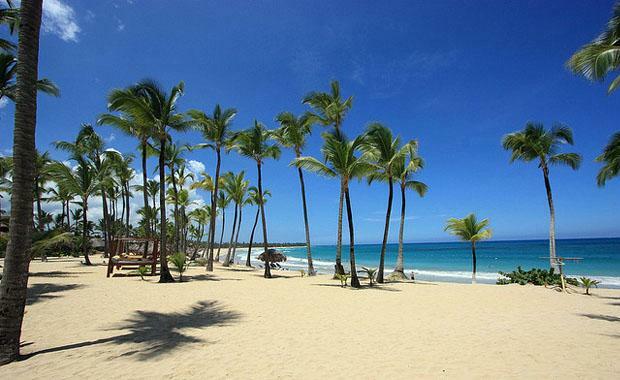 The Catalonia Bavaro Resort gives guests the chance to stay right on this famous beach. With the Manati Park right next door, guests can enjoy the dolphin encounters and ensure that there is little chance for boredom and monotony to set in. 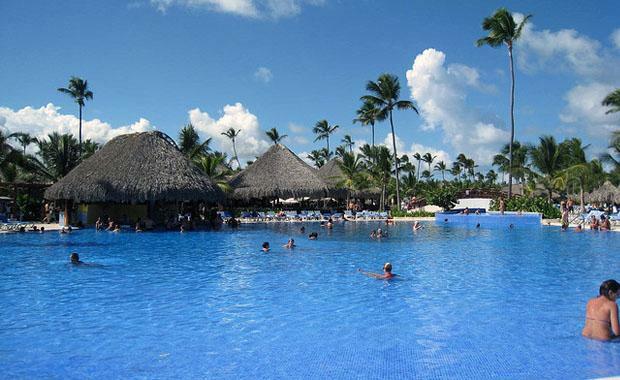 A fantastic resort that is complete with a number of American, Asian and Mexican restaurants as well as a casino and nightclub, the Catalonia Bavaro Resort is surely the place to be. A golf course, casino and a horde of bars makes it quite comfortable while the town’s other shopping, entertainment and dining options are always a few minutes away. From water sports out in the beautiful natural waters of the Caribbean Sea and Atlantic Ocean to lazing around near pool-side bars, the Barcelo Dominican Beach Hotel has it all. The hotel is extremely close to the shopping and entertainment sections of Punta Cana while the restaurants within the hotel can hold their own too. The Manati Park is a few miles away while the hotel is connected to other parts of the city through public transport. With over 730 rooms at their hotel, the Barcelo Dominican Beach Hotel has something for everyone. Private terraces, balconies, fantastic views, exciting entertainment and well-stocked bars, what more can a guest want to make their Punta Cana holiday picture-perfect?